View More In Heads - Page 5. 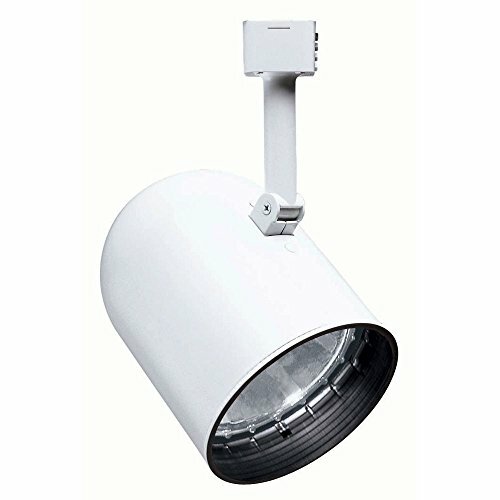 Round Back Cylinder Light Head for Juno Trac-Lites This utilitarian fixture provides plenty of directional lighting with the 65-watt BR30 lamp (not included). Features a 90-degree vertical aiming capability and 358-degree rotation. All Trac-Lites line voltage fixtures feature an on/off switch and are also compatible with Juno Trac-Master single and two-circuit trac systems. CUL and UL listed. 8.38 in x 6 in. Round Back Cylinder Light Head For Juno Trac-Lites - White Steel Track Lighting - 8.38 in X 6 In. If you have any questions about this product by Juno Lighting Group, contact us by completing and submitting the form below. If you are looking for a specif part number, please include it with your message.